Over the past decade, the craft distilling movement has exploded to include over 1300 small batch distillers in the United States, some 285 in the UK, and nearly 100 in both Canada and Australia. Whether your passion is pulling you to become a home distiller or to start a licensed small batch craft distillery, the key to successfully making top quality spirits revolves around a thorough understanding of raw materials and a solid grasp of the science behind water, mashing, yeast, fermentation, distillation and oak aging. 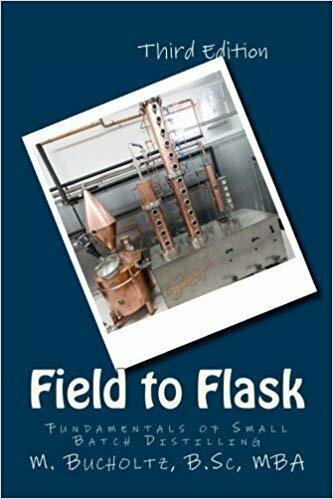 As you turn the pages of this book, you will be taken on a journey that begins with the early history of alcohol and then takes you deep into the science behind distilling alcoholic spirits. You will learn the legal definitions of the various spirit types and what distilled spirit products a craft distiller can and cannot make. You will see which legislation governs craft distilling in Canada, the UK and the United States and the key links for contacting the relevant agencies. You will be introduced to marketing and brand imaging strategies specific to the distilling industry that will help you position yourself in front of the consumer.